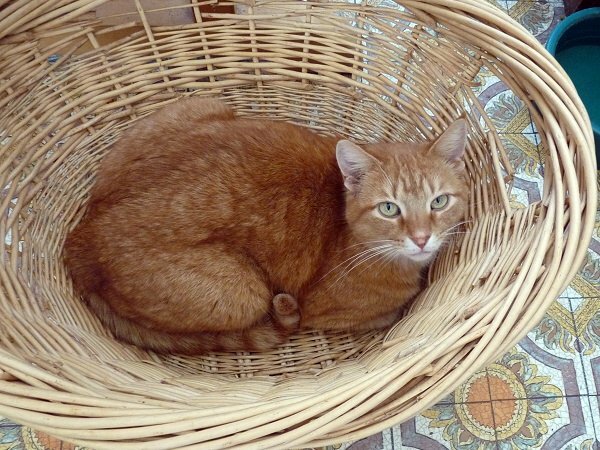 Being trapped indoors can make a basket case out of any outdoor enthusiast. 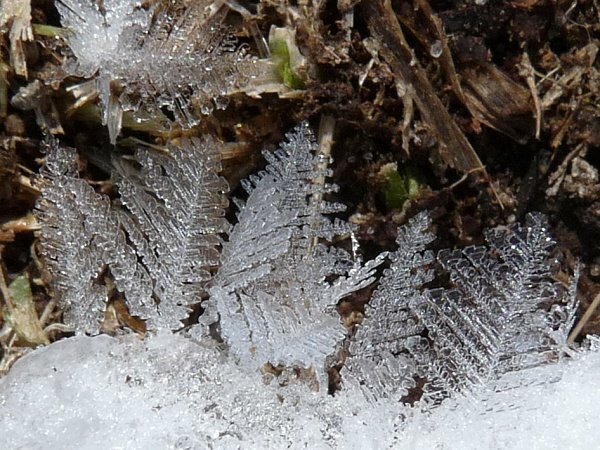 Last night might be the last of the near zero F temps for a while. 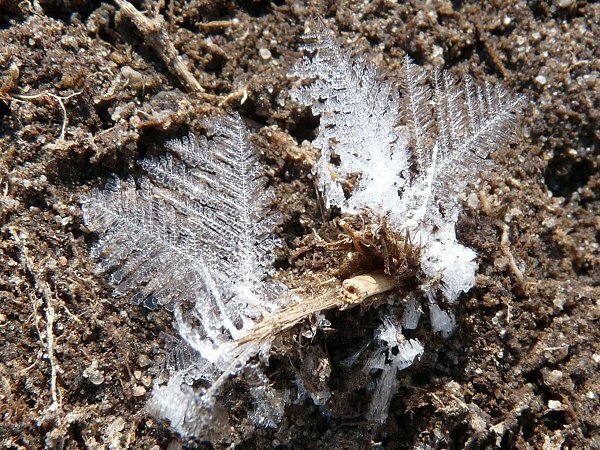 These I hope are the last frost pics of the season. 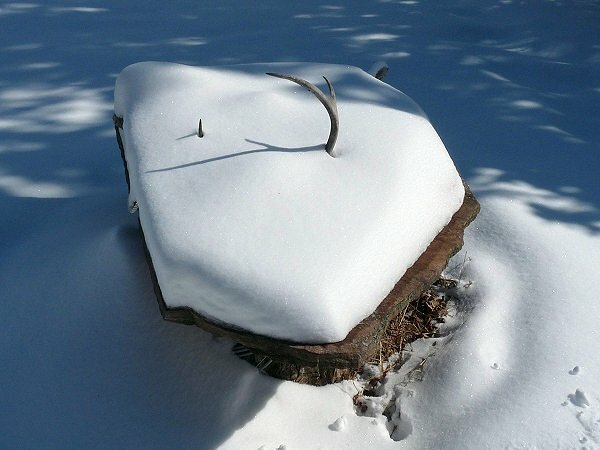 The snow is still skull deep on (another) stone slab on a stump. 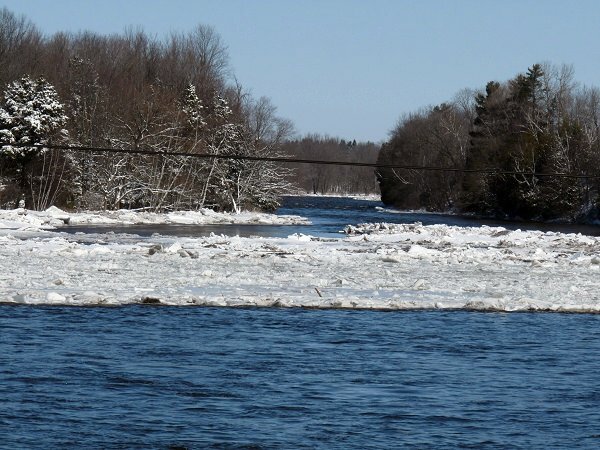 I drove to the ‘dump’ today and checked out the Grasse River for ice jams along the way. There was next to nothing below the dam at Madrid. At Chamberlain Corners there was a slight build up but nothing to write home about. I’ll have to see once the ice breaks up on the flat water sections what this turns out to be. Will this mini jam hold long enough to catch the ice that will soon be here? Ice was arriving at Chase Mills as I drove by. There’s a good chance this will turn into a nice jam. I’ll probably miss it. 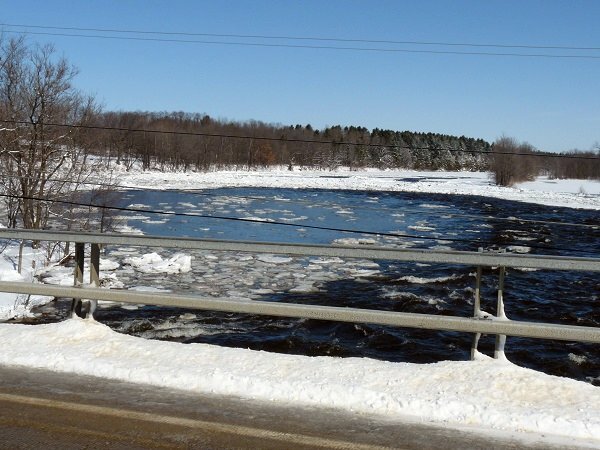 I’m planning on taking a hike this weekend to the ice jam downstream of Morley.